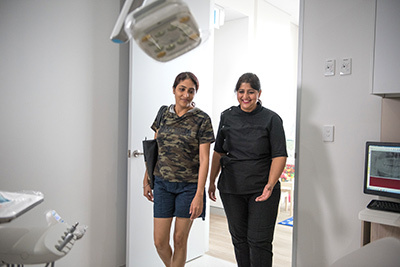 We love welcoming new patients to our Rouse Hill dental practice and our friendly team will ensure that you feel both welcome and at ease as soon as you step foot into Rouse Hill Smiles. Upon entering our facility, you’ll be greeted warmly by our reception staff. You will then be given a medical history form which you can fill-in whilst seated in our spacious and modern waiting room. 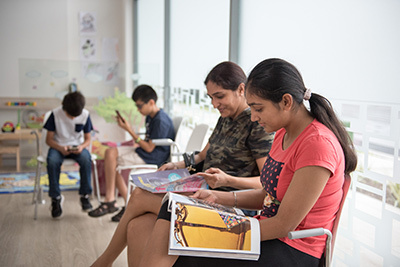 Our patient’s comfort is a priority to us, so our friendly reception staff will also offer you tea or coffee while you wait to see Dr Teena. 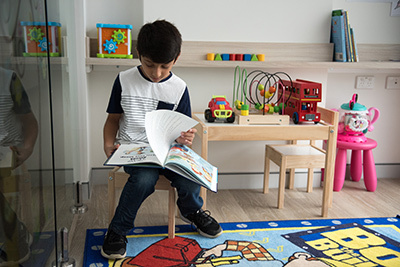 With a wide selection of the latest magazines, a TV, and a children’s space containing books, colouring pages, you and your family are encouraged to sit back and relax. 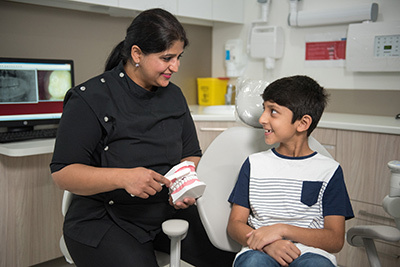 During your first consultation, Dr Teena will thoroughly examine your mouth, whilst also taking intra and extra oral photographs to obtain a more comprehensive view of your dental health. 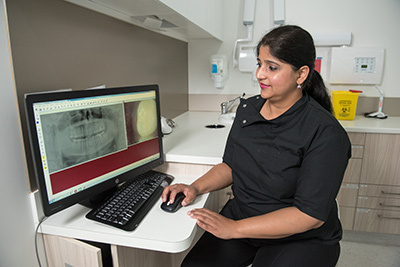 In some cases, x-rays may be necessary, and if a minor procedure is required (such as a small filling), Dr Teena can also perform this during your initial appointment. A personalised treatment plan will then be discussed, helping you to maintain long-term oral health. Dr Teena also prides herself on being upfront about treatment costs and what is involved, so you can rest easy knowing you’re in well-respected and trusted hands. 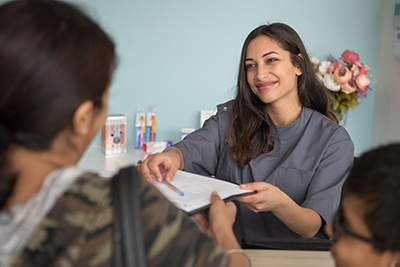 It’s understandable that not everyone enjoys visiting the dentist and some patients find it difficult to overcome their anxiety and nervousness when requiring dental treatment. That’s why we go above and beyond to ensure our patients are at ease and offer you the option of being sedated during your treatment. Using inhaled minimal sedation, patients breathe a mixture of oxygen and nitrous oxide through a mask placed over their nose, helping them to completely relax and overcome any feelings of anxiety or discomfort during the procedure. Dr Teena is also highly-adept at building confidence and trust within her patients, and won’t begin a procedure until they are comfortable for her to do so. 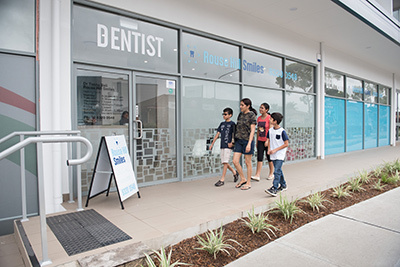 At Rouse Hill Smiles we want to ensure you have access to dental treatments when you need them. We offer Zip Money allowing you to spread out the cost of treatment over convenient interest-free payments. Sign up for eligible patients is quick and easy. Ask us today for more information or sign up to Zip Money online. 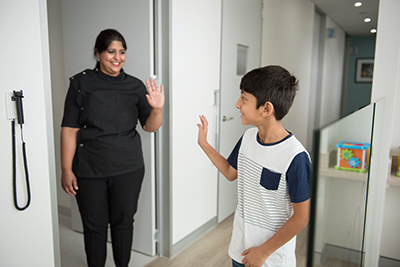 We love welcoming new patients to Rouse Hill Smiles and look forward to meeting you and your family! Contact us today to schedule your first appointment with our friendly and highly-experienced team.